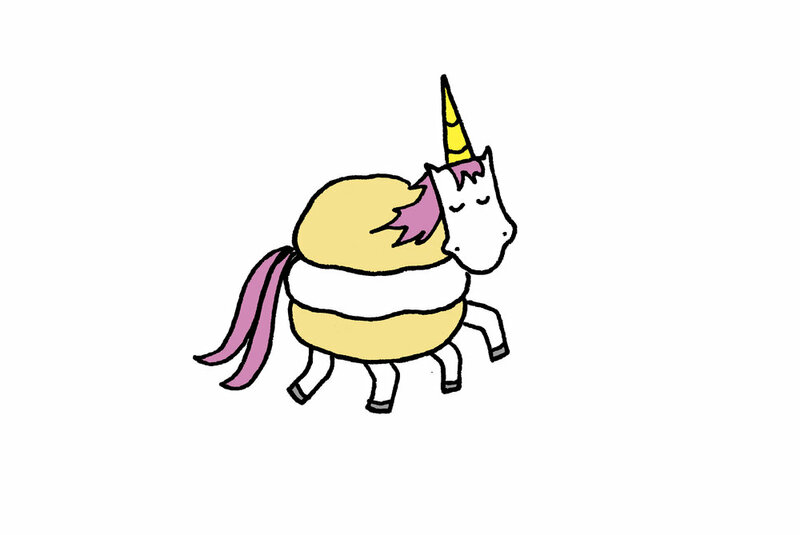 Q: What do you call a unicorn combined with a cream puff? You might feel like you have no idea what pâte à choux is, but trust me, you've had it before. It's the dough that's used to make, among other things, cream puffs and eclairs. It's a good thing to know how to make, as it offers many delicious rewards AND let's face it, people are always impressed when you can make something French. This is my adaptation of a recipe I originally found on Eugenie Kitchen. I've made a few tweaks that make it a little different just in ways that suit my personal style (ie I am lazy), but she is clearly an incredible baker and provided the perfect template and recipe ratios! 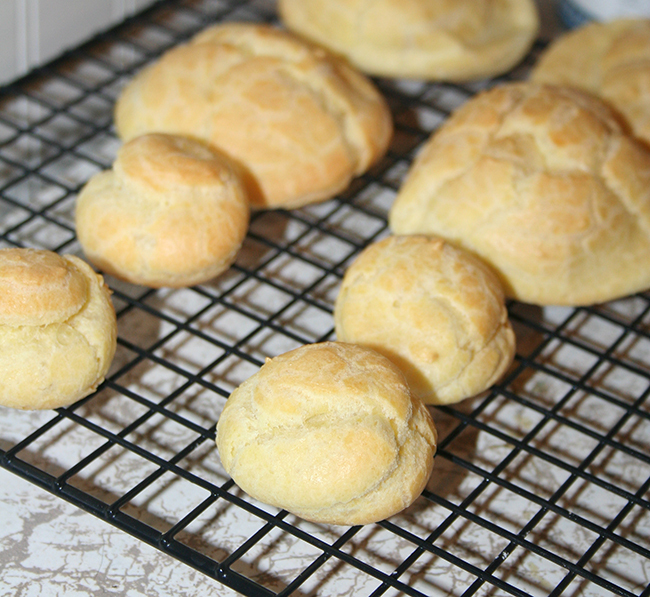 Everyone should have a great pâte à choux recipe in their repertoire. 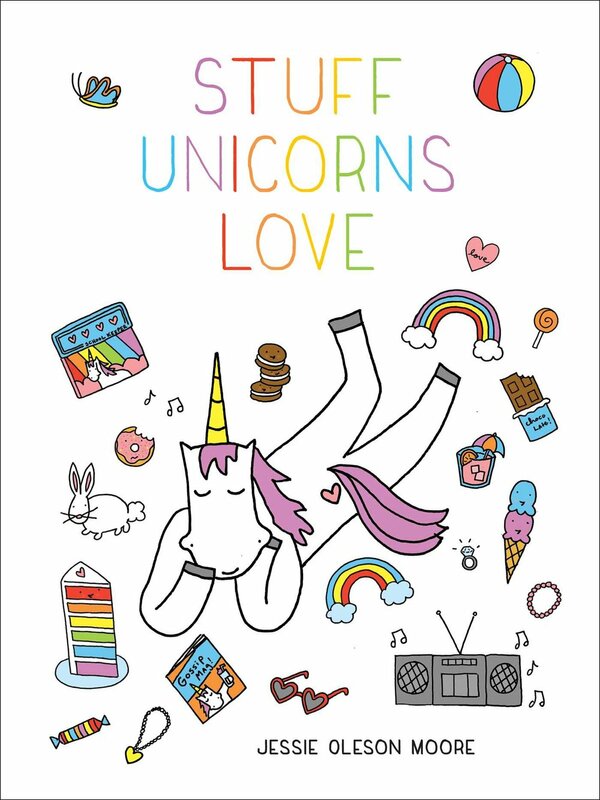 Here's mine! In a thick-bottomed saucepan, combine the butter, water, and salt. Heat over medium until the butter is totally melted and the mixture begins to boil. Remove from heat, and stir in the flour immediately. Put the pan back on low heat, and cook until it easily forms into a ball (this won't take long at all, a minute or maybe less). Let it cool slightly (for just 2-3 minutes) so it doesn't scramble your eggs in the next step. Now, you want to incorporate the eggs into the mixture. Me, I did this by putting the choux dough in a stand mixer fitted with the paddle attachment, starting to mix on low, and slowly pouring in the egg mixture. Stir until the mixture is thick, cohesive, and shiny. Now, your pâte à choux is ready to use! Spoon mounds of it onto a parchment-lined baking sheet, or load it into a piping bag and pipe portions on to the sheet. 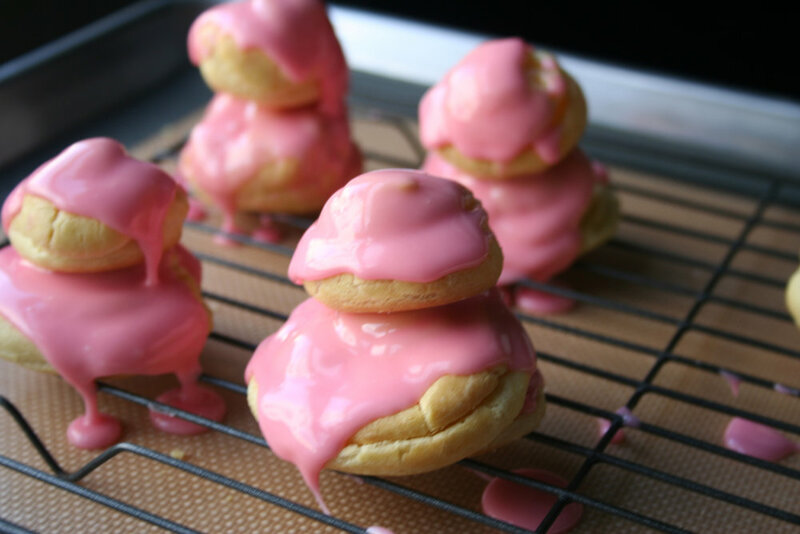 You want them to be nice and mounded so that you get that "puff" that makes cream puffs so special. This dough can be used to make cream puffs, eclairs, or other pastries like profiteroles or religieuse. To bake your pâte à choux, bake in a preheated 375 degree oven. In general, the bake time will be 15-20 minutes, depending on the size of your pastries. If you make bigger portions, you do run the risk of your pastries deflating after they're removed from heat. Personally I don't sweat this, I just slice 'em open and fill them with more cream. Have you ever made pâte à choux?